Home > Janitorial, Household Cleaning Supplies, Foodservice Products > Cleaning Products: Bathroom, Kitchen, Household, Office, Industrial > Kitchen Cleaning Products > Bar Keepers Friend Cookware Cleaner and Polish 12oz. 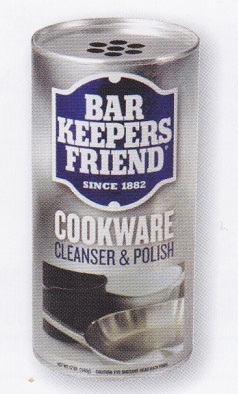 Bar Keepers Friend for Cookware, keeps stainless steel cookware looking like new. Also gently cleans copper, ceramic, and hard-anodized kitchenware. 12oz can.